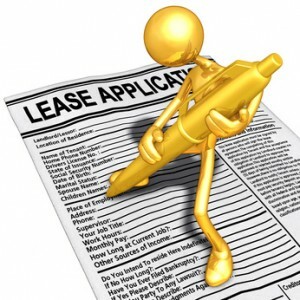 Are Online Rental Applications Good for Landlords? With more apartment seekers turning to the Internet, digital functionality is spawning new systems for leasing. Take, for instance, the new “apply now” options available on many rental ad hosting sites, including Craigslist. While these new features offer ease of use to applicants and may attract good tenants, is an online application system the best bet for landlords? There is no doubt that these services offer many benefits for landlords, including the ability to bundle property management services — like online rent payment or listings — under the same account. That means fewer passwords to track and may generate savings for online services. Asking rental applicants to fill out a form full of personal information at an early stage of their search may be off-putting, and some may do a shoddy job completing the form, or hold back on pertinent information that is being transmitted online. If it’s possible to speak with the applicant on the phone prior to linking to an online application, the applicant may be willing to do a more thorough job. Landlords using a turnkey online service must review the application form itself to determine if it has been thoroughly vetted. Are there questions that need to be added to track the landlord’s own tried and true form? This problem may be overcome by using systems that allow uploading the landlord’s own form, or provide customization options. One of the advantages online applications provide to tenants is the ability to store and resubmit the same form, rather than face the onerous task of completing numerous rental applications. It is important for the landlord to check when the information was submitted, and to verify that the information is still up-to-date. Unfortunately, by accepting online applications, the landlord may lose out on opportunities to interact directly with the applicant and could miss red flags that might reveal a scammer. Tenant screening may be hampered by the inability to prequalify and prescreen applicants on the phone, and the lack of complete information, especially if payments are also to be made online. Landlords must take steps to minimize that risk. Likewise, landlords will need to verify that the information submitted online came from the person they eventually meet. Also, it must be clear that the applicant has acknowledged the truthfulness of the information provided in the online application, and has consented to a tenant background check.